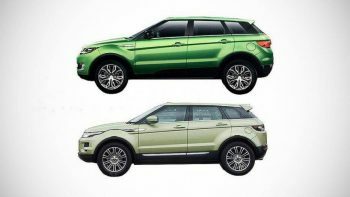 Jaguar Land Rover said it won a case in China against local rival Jiangling Motors Corp. for making light trucks that copy features of the Range Rover Evoque. The court ruled that all sales, manufacturing and marketing of the Landwind vehicle must stop immediately and Jaguar Land Rover be compensated. The two SUVs have a similar shape, with the roof and windows tapering from front to back, and near-identical tail lights and character lines on the side paneling. Britain’s biggest carmaker sued Jiangling in a rare move in 2016. Despite widespread and often blatant copying, global automakers generally don’t take legal action in China as they feel the odds of winning against local companies are low.